I received four days ago a problem report from a German user of my MZ-Tools add-in for VBA, explaining that after updating to the last build 8.0.0.120, the language of the user interface was always English, despite MZ-Tools being configured to use the language of the Regional Settings, and being these German. Nobody else had reported this and I was unable to reproduce it. At first I thought that there was a problem in the logic detecting the language of the Regional Settings, but after some verification that was not the case, the problem happened also selecting German directly (and the logic to detect the language of the Regional Settings hasn’t changed for years). Then I requested him to send me his files and settings. I copied them to my computer but I was unable to reproduce the problem, German was used as language. Then I sent him all the builds between the last working build and the last (failing) build, so we determined which exact build introduced the problem. Using source control I could determine that the first failing build used a somewhat different approach to generate the resource dlls used by MZ-Tools, because I am these weeks migrating from a custom builder for MZ-Tools to 100% MSBuild. But the new approach seemed very fine to me, so it should be something else, and I had a suspicion. In the past years MZ-Tools used an embedded xml file with all languages, and while it worked fine, in recent times I have a tendency to adopt standard Microsoft approaches, so I switched to .resx/resource dlls (despite my dislike for file proliferation). Soon I became familiar with an issue with .resource.dll files: if for some reason the Common Language Runtime (CLR) of the .NET Framework fails to load them, the failure is silent and the user interface defaults to English. This happened in the case that I described in the post The strange case of localized resources not being loaded, where I was failing to re-sign the resource dlls after obfuscating and re-signing the main assembly. Since then I have learned more about obfuscation and signing and I no longer use delay-signing. Something is generating bad resource dlls (that can’t be loaded by the CLR). PEVerify.exe is not being used to verify the resource dlls during the MSBuild script, or it is not reporting the problem. The error is not detected at runtime (it’s a silent error), although it can be detected with the Assembly Binding Log Viewer (fuslogvw.exe). I don’t have a workaround yet (other than using a computer without Visual Studio 2017 RC), but at least now I know the culprit and I have a MSBuild script that will detect all future cases at build time. The last piece to be explained is why I was unable to reproduce the issue on my computer. 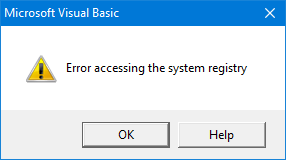 The reason is that the user is using Windows 7, where MZ-Tools 8.0 for VBA runs on the installed .NET Framework 2.0 (and therefore cannot load .NET 4.0 resource dlls), while I am using Windows 10, where MZ-Tools 8.0 for VBA runs on the installed .NET Framework 4.0, which is happy to load .NET 4.0 resource dlls. I already talked about this back in 2012, where the root cause was the installation of Visual Studio from a removable hard disk (since then I always copy the setups of Visual Studio to the fixed hard drive before installing) and in 2014, where the cause was the deletion of partition D: of the hard disk (actually a variation of the previous cause). In both cases I was unable to fix the problem until I uninstalled all versions of Visual Studio and reinstalled them, which for a developer of extensions like me that need all Visual Studio versions to test is the most painful experience. So, the file C:\Windows\Microsoft.NET\Framework\v2.0.50727\RedistList\VSList.xml is missing. This is a file likely installed by Visual Studio inside a folder that belongs to the .NET Framework, not to Visual Studio. I would say this is a bad idea. And it is not the only .xml file installed by Visual Studio, there are a lot of them. But which is the root cause that makes that a file suddenly disappears from that folder? It is the installation of the major updates of Windows 10: Update “1511” in November 2015 and “Anniversary Update” 1607 in October 2016. As you know, the next one announced a couple of days ago will be “Creators Update” in 2017 and the issue will reappear in 3D ;-). Each time that a major Windows 10 update is installed, the previous Windows installation is stored in a backup folder “Windows.old” (which includes the .NET Frameworks folders, and the .xml files in question). It seems that the Windows 10 update is smart to detect that you had .NET Framework 2.0 installed (it’s an optional feature of Windows 10, not installed by default) and it installs it for you, but not smart enough to detect the missing files. So, alas, the .xml files are not restored and cause this issue. In 2015 I still had the Windows.old backup folder and I was able to restore all the missing .xml files using BeyondCompare, the folder comparison utility that I love. Now in 2016 I deleted the Windows.old backup folder before I realized the issue, so I had to provide the .msi files to the prompt dialog, copying them to the hard disk before, of course! I hope this helps you if you encounter this issue. 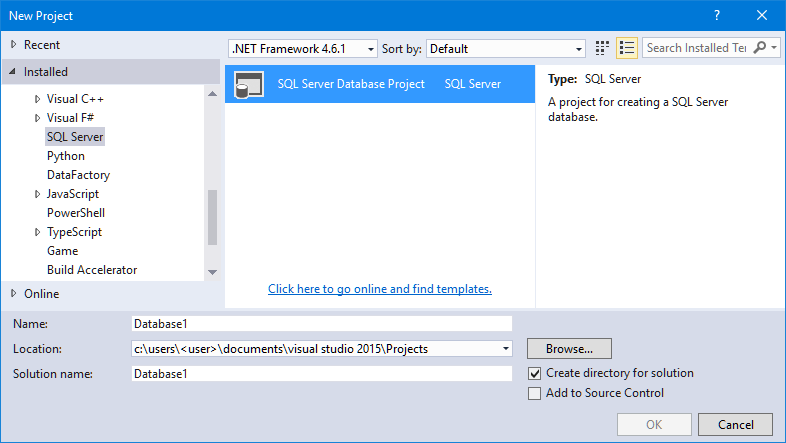 As you may know, SQL Server Database projects are quite good automation-friendly projects, that is, they implement EnvDTE interfaces (EnvDTE.Project, EnvDTE.ProjectItem, etc.) so you don’t need to use the low level IVsHierarchy, etc. interfaces of Visual Studio. But somehow, they missed to implement something somewhere. There shouldn’t be a folder for references in the automation model (EnvDTE). The automation model provides the VSLangProj.References collection to handle the references of a project. 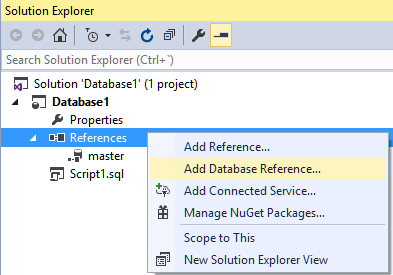 I won’t report the bug because there is an almost zero chance of Microsoft fixing it, and anyway I needed to find a fix for the current version of the SQL Server Data Tools, which took me to the next problem: how can an extension identify reliably the “References” ProjectItem?. I could check if the Name property of the ProjectItem is “References”, but that approach is always prone to errors due to localization (in Spanish would be “Referencias”). The SQL Server Data Tools doesn’t seem to be localized, but I wanted to investigate another approaches. It happens that the IVsHierarchy of the References node implements an interface named IReferenceContainer. So, one could cast that node to IReferenceContainer and if the cast is successful then it’s the References node. Alas, that interface is declared internally in database projects, and in MPF.Project.NonShipping.dll for other projects. At the end, I opted for getting the EnvDTE.ProjectItem.Object property, convert it to a string, and compare it to “Microsoft.VisualStudio.Data.Tools.Package.Internal.OAReferences”, which is as bad as comparing the Name to “References”, but anyway, it works for now. The other problem was also hard to diagnose. It happened when using a COM Shim to load the CLR using code from the COM Shim wizards provided by Microsoft, which calls the CorBindToRuntimeEx function passing NULL to the first pwszVersion parameter. A NULL value means to load the highest CLR installed below CLR 4.0, which should be CLR 2.0. However, on Windows XP I got HRESULT 0x80131700. Fortunately I found on a comments of the post COM Shim CLR Loader Bug that the problem could be solved passing the specific version “v2.0.50727”, which certainly fixed the problem for me. In my last post I explained a problem that can happen when a .NET-based add-in for the VBA/VB6 editor that uses a COM Shim tries to use any Common Language Runtime (CLR) that it’s installed on the target machine (CLR 2.0 or CLR 4.0), assuming that the add-in is built with .NET Framework 2.0/3.0/3.5 and therefore can use CLR 2.0 or CLR 4.0. This post is about other problem that can happen. First it detects if CLR 2.0 is installed. If so, use it. If not, it detects if CLR 4.0 is installed. If so, uses it. This registration of the usercontrol used by the toolwindow must be done by the installer at setup-time. And I used in the installer the same logic than in the COM Shim: first it detects CLR 2.0 and, if not available, then it detects CLR 4.0. System.InvalidCastException: Unable to cast COM object of type ‘System.__ComObject’ to class type ‘System.Windows.Forms.UserControl’. Instances of types that represent COM components cannot be cast to types that do not represent COM components; however they can be cast to interfaces as long as the underlying COM component supports QueryInterface calls for the IID of the interface. And that exception happened in a line of code that casts the usercontrol instance returned by the last output parameter (which should be a UserControl instance) to the System.Windows.Forms.UserControl type. Why? In this case, the usercontrol remains registered with runtime version v4.0.30319 (unless the user runs the installer again) but the COM Shim, that detects CLRs at runtime, not at setup time, would use CLR 2.0! (because its logic gives it preference over v4.0.30319). And this causes the System.InvalidCastException, because the CreateToolwindow returns an instance of a CLR 4.0 usercontrol. Since such thing cannot enter the CLR 2.0 of the COM Shim, a System.__ComObject wrapper is created, that cannot be cast to a UserControl type. The second scenario is that you have Windows 10, which by default provides .NET Framework 4.0 (CLR 4.0) but the user has installed .NET Framework 2.0/3.0/3.5 (CLR 2.0). The user runs the setup of the add-in. The usercontrol is registered with the runtime v2.0.50727 (because the logic gives it preference over v4.0.30319). When the add-in is loaded the COM Shim uses also the preferred runtime v2.0.50727 over v4.0.30319. So far so good. However, one day the user uninstalls the optional .NET Framework 2.0/3.0/3.5. In this case, the usercontrol remains registered with runtime version v2.0.50727 (unless the user runs the installer again) but the COM Shim, that detects CLRs at runtime, not at setup time, would use CLR 4.0 instead of CLR 2.0! This causes a different exception, though. Windows XP: none. 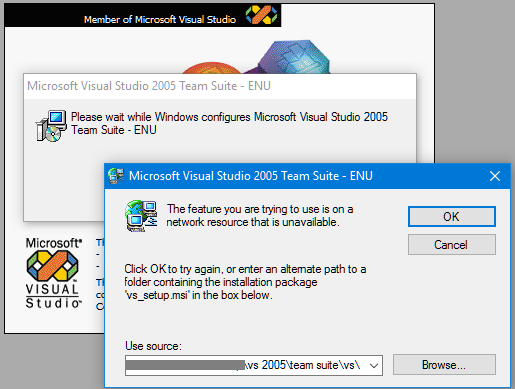 But the setup enforces that .NET Framework 2.0 must be installed. 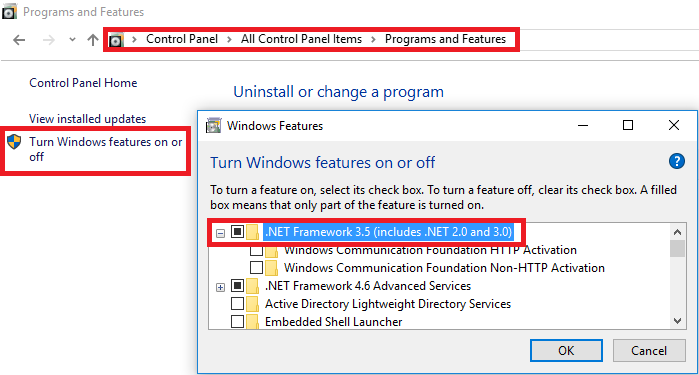 This approach makes the COM Shim immune to installation/uninstallation of additional .NET Framework installations (because default .NET Frameworks are OS components and cannot be uninstalled, only optional .NET Frameworks can be uninstalled). 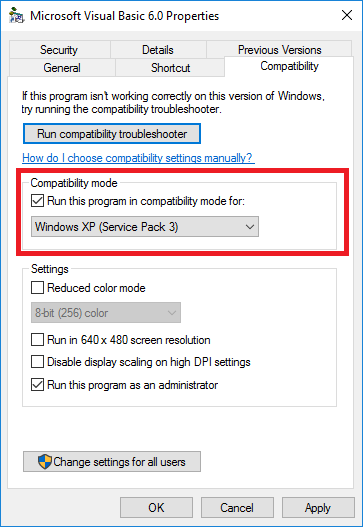 What happens if a user is running Windows 7 and sets VB6 with compatibility mode with Windows XP? The setup was run on Windows 7, so the usercontrol is registered with runtime version v2.0.50727 (the default for Windows 7). When VB6 in compatibility mode loads the COM Shim, it thinks that it is running on Windows XP and uses the .NET Framework 2.0 that the setup required. So nothing bad happens. But what happens if the user is running Windows 10 and sets VB6 with compatibility mode with Windows XP? The setup was run on Windows 10 (not in compatibility mode), so the usercontrol is registered with runtime version v4.0.30319 (the default for Windows 10). When VB6 in compatibility mode loads the COM Shim, it thinks that it is running on Windows XP and uses the .NET Framework 2.0 that the setup required. So a System.InvalidCastException happens when performing the cast operation due to the mix of runtime versions. The best solution, that I hope that fixes this problem for good, is to make the COM Shim to read the registered runtime version of the usercontrol of the toolwindow from the Windows registry, and use the matching CLR. With this approach, it doesn’t matter what Windows version the COM Shim thinks it is running on, because it won’t use the default CLR of that Windows version, but the one that was determined at setup-time. Fortunately, the user reported that installing .NET Framework 4.0 the problem was solved, but why? So, the problem was that the CLRCreateInstance function (used by the COM Shim to load the Common Language Runtime, CLR) was not found in mscoree.dll. At this point I knew I needed another tool: depends.exe (Dependency Walker). 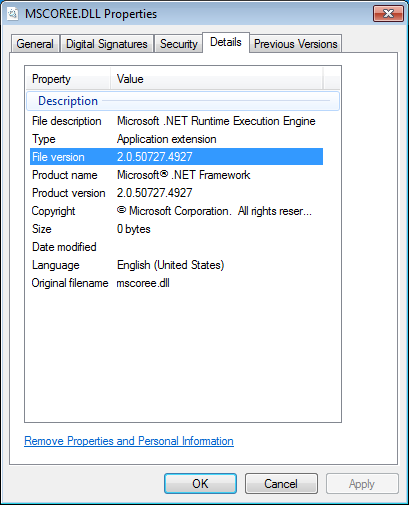 First it detects if .NET Framework 2.0 is installed. If so, it uses the old API to load CLR 2.0. If not, it detects if .NET Framework 4.0 is installed. If so, it uses the new CLRCreateInstance API to load CLR 4.0. Note: this logic that uses run-time detection of the CLR rather than setup-time detection is flawed by a different reason that caused the second reported problem (for another post). the whole dll of the COM Shim failed to load if that function is missing in mscoree.dll (it seems that my knowledge of C/C++ linking is very limited, I thought I would get a runtime error only if the COM Shim tried to call that missing function…). This explained why installing .NET Framework 4.0 solved the problem: even if the COM Shim still used CLR 2.0 (by the logic above), the mscoree.dll updated by .NET Framework 4.0 provided the missing CLRCreateInstance function and the COM Shim dll didn’t fail to load. So, how is that Windows 7, lacking .NET Framework 4.0, has a mscoree.dll version 4.0.xxxx that provides the CLRCreateInstance method to load the CLR 4.0? And of course, installing VB6 or Office and MZ-Tools 8.0 reproduced the problem that happened on Windows XP. It was only after I applied SP1 to Windows 7, that mscoree.dll was updated to version 4.0.xxxx. 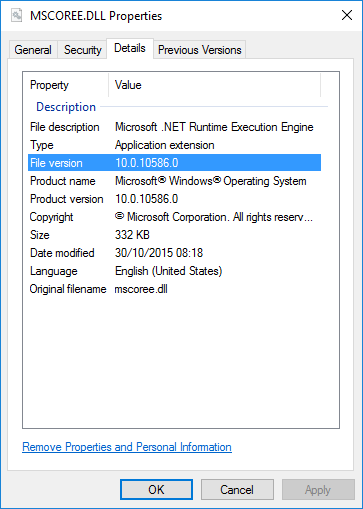 So, it seems that Microsoft decided to include the mscoree.dll version 4.0.xxxx of .NET Framework 4.0 in the service pack 1 of Windows 7, even if that service pack doesn’t include .NET Framework 4.0. 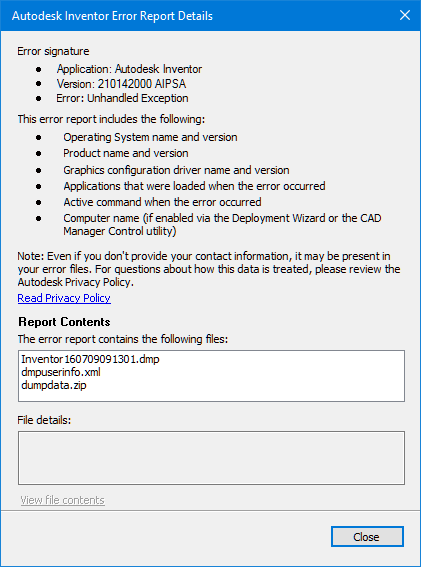 Recently I got a bug report from a customer of my MZ-Tools 8.0 add-in for VBA stating that it crashed the VBA editor of Autodesk Inventor 2016. If he uninstalled MZ-Tools, the problem disappeared. This user has been using MZ-Tools 8.0 for months but now, suddenly, this problem appeared. So, when MZ-Tools shows a modal window, Autodesk Inventor tries to set a “quick access toolbar gradient color” using a function that crashes the app. Initially I thought (and so it was reported) that the crash happened only when MZ-Tools was set to load on startup, but not when loaded manually using the Add-In Manager. However, I realized that it happened at any time that MZ-Tools tried to show a modal dialog. What could be causing this after months of normal usage? My main suspect was the COM Shim that I introduced in build 8.0.0.77 (June 1) to provide proper isolation from other .NET-based add-ins for the VBA editor. And certainly the hypothesis was correct. When I ran MZ-Tools without the COM Shim, the problem didn’t happen. So, it seems that WinForms dialogs don’t play well when loaded from a different AppDomain. The several Office apps and versions don’t suffer this problem, but Autodesk Inventor does. 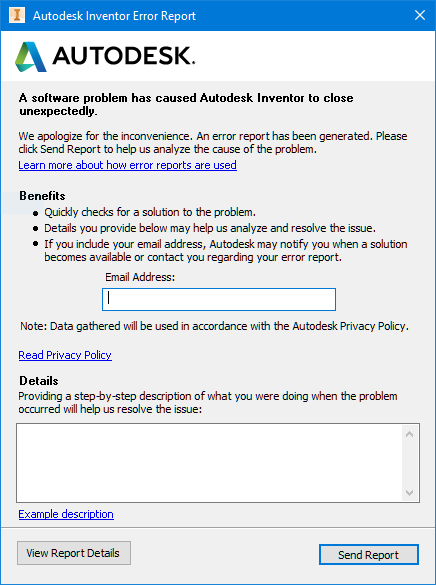 Although I reported the problem to Autodesk, I guess that likely they won’t fix it, or anyway the existing released Autodesk Inventor 2016 and 2017 builds will persist with the problem. 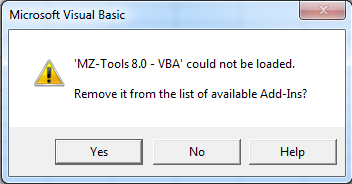 So, as a workaround, the new setup of MZ-Tools 8.0 for VBA will detect if Autodesk products are installed. In that case, the setup won’t register MZ-Tools using the COM Shim. 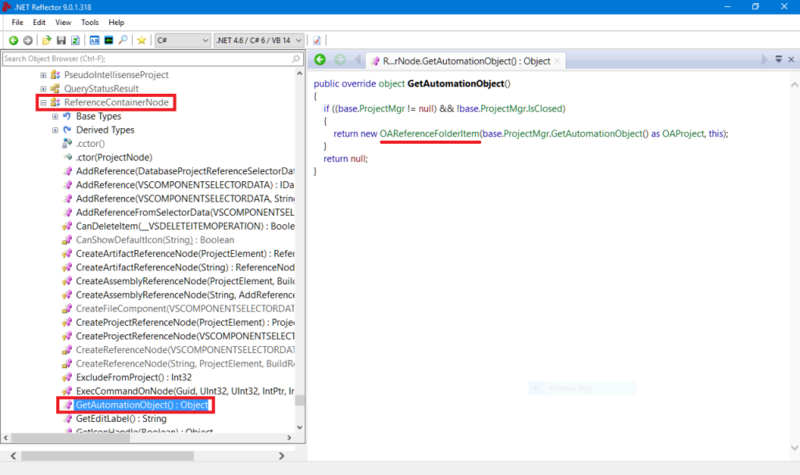 And you have this article of mine explaining most causes given an error number: HOWTO: Troubleshooting Visual Studio and Office add-ins. 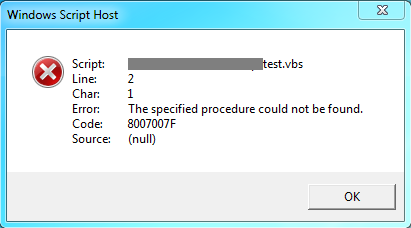 But for VB6/VBA, you are clueless. I have got that error many times because my MZ-Tools add-in is supported in several IDEs using different approaches for registration for the end user (using a setup) and for myself during development/debugging (using PowerShell scripts for registration/unregistration). MZ-Tools 8.0 for VBA uses per-user COM-registration, not requiring admin rights to install, which is important for many Office users in corporate environments. Per-user COM registration works because Office doesn’t run with admin rights by default (an executable running elevated can not see per-user COM-registration, for security reasons). MZ-Tools 8.0 for VB6/VB5 uses machine-wide COM-registration, requiring admin rights to install, because per-user COM-registration wouldn’t work since VB6 runs elevated by default (to be able to register ActiveX Dlls when compiling). MZ-Tools 8.0 for VB6/VB5 uses machine-wide COM-registration, because of the reason explained above. That means that I must run Visual Studio always elevated, so it can launch vb6.exe for debugging without annoying prompts for elevation of Visual Studio with a restart. MZ-Tools 8.0 for VBA uses also machine-wide COM-registration, because since I run Visual Studio always elevated, Office runs always elevated during debugging, and therefore per-user COM-registration wouldn’t work (remember, a process running elevated cannot see per-user COM-registration). 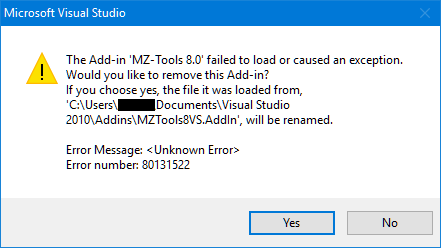 All this means that any error using the wrong registration or running Visual Studio, VB6 or Office with the wrong elevation (or lack of), and I get the dreaded “MZ-Tools 8.0 could not be loaded”. So, the dll of the add-in was not found. But, wait a minute: it is looking for it in the path “C:\Users\<user>\AppData\Local\MZTools Software\MZTools8VBA\”, which is used for the end user (setup), not in the path used during development. I went to the Control Panel, Program and Features, and MZ-Tools 8.0 was not installed!. So, somehow the last uninstallation of the setup failed silently, removing the file but leaving the COM-registration in the Windows registry. How could that be? I test the setups and PowerShell scripts exhaustively when created/modified and they were working correctly for weeks since the last changes. If you have a setup that doesn’t require admin rights to install, the “Control Panel”, “Program and Features” doesn’t require admin rights to uninstall either, which is correct. However, the “Settings” > “System” > “Apps and features” prompts for admin rights to uninstall even if the setup was installed without admin rights, which seems incorrect to me. By default, the setup runs without admin rights. In that case, the setup registers the add-in using per-user COM-registration. If you run Office with admin rights, you can force the setup to use machine-wide COM-registration (so it works) running it with admin rights (using the “Run as administrator” context menu). The setup detects that it is running with admin rights and uses machine-wide COM-registration instead of the default per-user COM-registration. Conversely, the uninstaller detects if it is running with admin rights and in that case removes machine-wide COM-registration; otherwise, it removes per-user COM-registration. And then it happens that on Windows 10, if you use the “Settings” > “System” > “Apps and features” to uninstall, the uninstaller is elevated to use admin rights (even if it was installed without admin rights) and it removes the non-existent machine-wide COM-registration, leaving intact the existing per-user COM-registration that was created when installed without admin rights. When the PowerShell script registers the add-in using machine-wide COM-registration, two COM-registrations are in place. If I run Office with admin rights, the machine-wide COM-registration is used and it works. But if I run Office without admin rights, the per-user COM-registration that shouldn’t be there takes precedence, and points to a file that was uninstalled, so the error. Now I have to modify the uninstaller to remove also the per-user COM-registration even if running with admin rights. I have received a couple of issues in the last days from users of my MZ-Tools package, reporting that it keeps disabled, they have to enable it, and when restarting Visual Studio 2015 it happens again. So far my users have confirmed the solution. Thanks David!